Venice, Monet had always told his wife, was “too beautiful to paint.” But when he accepted the invitation of an American friend to stay at her rented palazzo on the Grand Canal in 1908, he set to work, turning out thirty-seven canvases over the course of his visit. This view, taken from the boat landing of the Palazzo Barbaro, captures the baroque church of Santa Maria della Salute and its reflection dancing on the water. 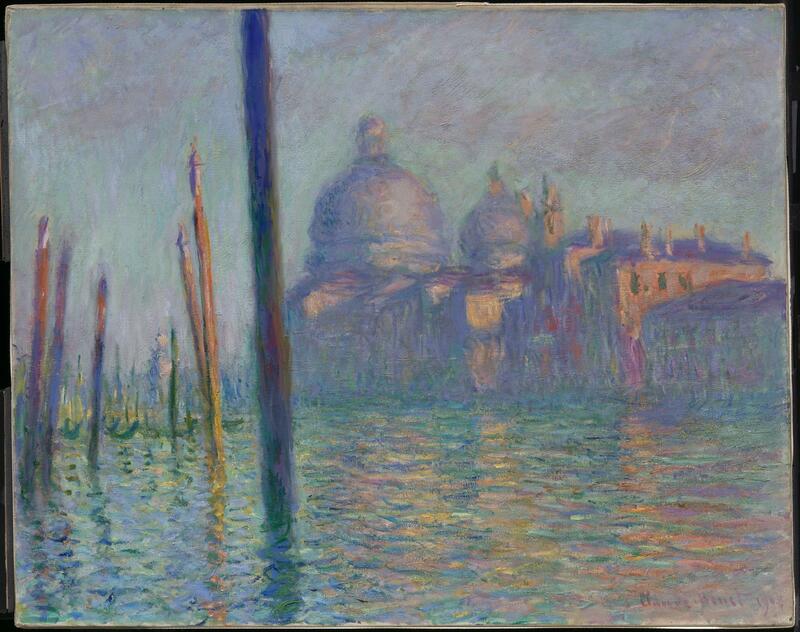 Unlike many Venetian view painters, Monet showed less interest in representing famous monuments than in capturing the play of light and reflection on the city’s waterways. The provenance given here is taken from Daniel Wildenstein, "Monet: catalogue raisonné" (1996), vol. 4, p. 809, cat. no. 1738. The painting was included in the exhibition "Monet - Venise," Galerie Bernheim-Jeune, Paris, May 28 - June 8, 1912, cat. no. 3.